In PCOS condition every doctors told you to fix your diet plan (PCOS Diet)and fix your exercise regime and unfortunately because a lot of Indians aren't educated correctly about fitness, creating a diet and exercise regime seems like something very difficult but trust me it's not it's just about following a few basic steps to make your body better than it was yesterday Now before Read this Article I highly recommend you go and read the Article made on PCOS science if you're a girl and whether or not you've suffered from PCOS it's your duty to know everything there is to know about PCOS it is one of the most common problems faced by girls in modern day society and the only way we can eliminate such a problem is with mass education so make sure you get yourself educated first now before we get to the actual PCOS diet plan there's a few things you need to know firstly insulin resistance almost every girl suffering from PCOS also suffers from insulin resistance you understand this term better first you need to understand the function of insulin in your body now our bodies derive energy from carbohydrates every time you consume a carbohydrate it's broken down into glucose inside your body and then the glucose is converted into energy through insulin. 1. It is difficult to avoid sugar from there diet, especially for girls who generally have sweet tooth so I'm going to work out a way for you to handle that situation now there's two points in the day where you can afford an insulin spike for breakfast and after a workout Replace the sugar with natural alternatives like sugar from Fruits every single fruits contain there natural fruit sugar which not harm like sugar which is present in home , along with fruits also add protein in meal. Periods treatment 2.In afternoon meal you have to add lean protein source with low carbs try to take big meal of that so you can not hungry at evening. If you don’t go for workout or gym avoid fruits and sugar to coffee and tea. Try to not spike you insulin when going for exercise after the meal. 3.In Dinner time you have to take lean protein without carbs or you can add small bowl of low carbs food. Check the lean protein food. 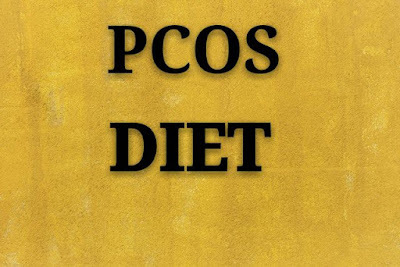 I hope you will understand the diet which helps you to make you healthy and come from PCOS problem.